In 2012, MathGenius was developed in response to a need we perceived in the Tallahassee Community. 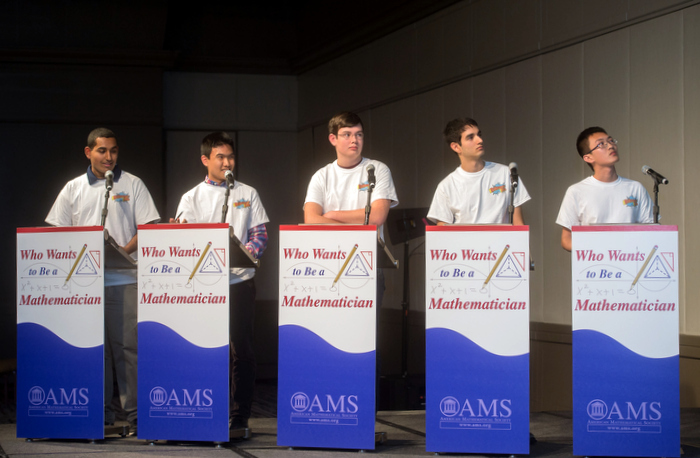 Our oldest son had developed a love of competitive mathematics and began participating in events such as Mu Alpha Theta and middle school MathCounts. He did well in these competitions, finishing 1st in State MathCounts two times during his middle school career, and placing 7th Nationally as an 8th grader. In 2017, he finished 1st in the national “Who Wants to Be a Mathematician?” competition. Realizing that students with a love of competitive mathematics had nowhere to “train” for their competitions, we began MathGenius. We now offer classes at the Elementary, Middle and High School level. Because we don’t believe that age or school grade level is the best indicator of ability, we administer a placement test to all of our students and place them into a class that we think is best suited to their level of ability. Thus, we have 4th graders in with 6th graders, middle schoolers in with high school students. We generally take students beginning in the 4th grade, but we will accept exceptional 3rd graders. Unlike a regular school classroom, we tend to teach to the highest ability student in each class. MathGenius classes are offered on a semester basis in the fall and spring. the work prior to class the following week. Each semester consists of a minimum of 12 class sessions. The cost for each semester is $175. SEE GRAHAM WIN "WHO WANTS TO BE A MATHEMATICIAN?"